‘Tis the season for festive gatherings, holiday dinners, and office parties. It’s also the season for those sugary snacks so many of us love to include in during these weeks leading up to New Year’s resolutions. From cookie exchanges to candy canes, sugar laden treats lurk in every corner! But consider this warning: if you don’t keep up your oral health routine, Baby New Year may just reward you with a new cavity. 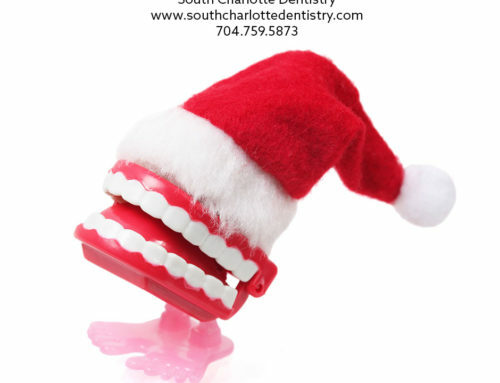 We here at South Charlotte Dentistry want to help you keep you and your teeth in good spirits this holiday season! Hidden carbohydrates and sugars also are to be discovered in holiday breads and dishes. Rolls, sweet potato pie, cranberry sauce, and fruitcakes all contain sugar. Fruits incorporated into desserts bring on additional sugars, as do those lovely jars of jam wrapped in splendid ribbon that your favorite aunt made just for you! Sugar is the generic name for sweet-tasting, soluble carbohydrates, found in many of the foods we eat, especially during the holidays. Carbohydrates are a large group of foodstuffs including sugars and starches. Depending on your health situation, you may be monitoring carbs. 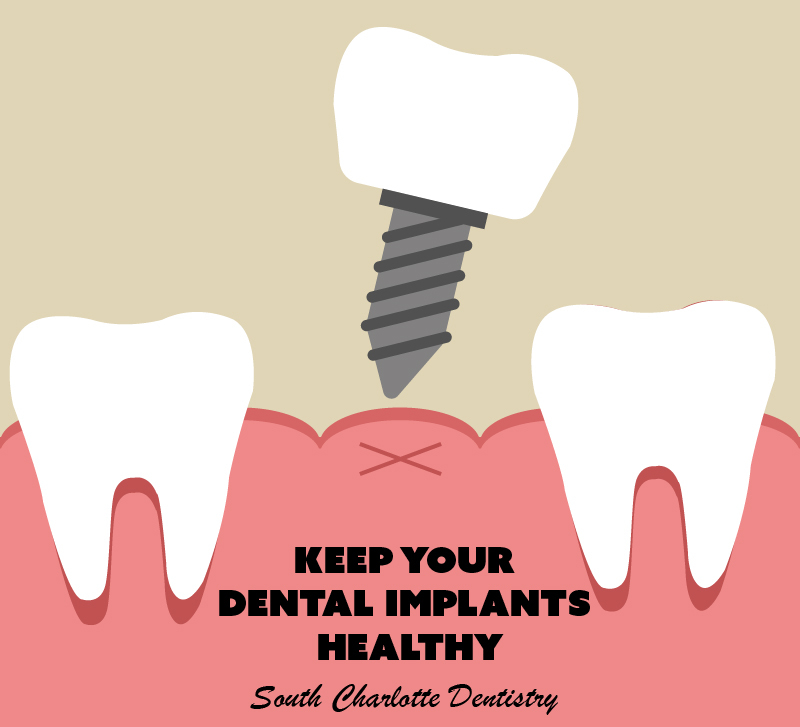 For the sake of your teeth, keep an eye the number of carbonated beverages, sugar, and hidden sugars you consume, then keep up (and maybe step up) your dental care routine. Those with braces or orthodontic work should avoid these foods in order to protect their teeth: popcorn, nuts, hard candy, caramel, pretzels, and peanut brittle. The good news is, these foods are good for your teeth: whole grains, fruits, lean meats, and vegetables. The holidays are a time to enjoy friends, family and food. And, contrary to popular belief, you can have all three without putting on the extra pounds! On average, Americans gain approximately one to two pounds during the holiday season. While this weight gain isn’t dramatic, research shows it tends to stick and accumulate over the years. Luckily, those pounds can be avoided through mindful eating in moderation and a few simple strategies. In preparation for a big holiday party or feast, do not skip meals throughout the day as this may result in overeating. It is especially important to have breakfast, as research shows that those who eat this important morning meal tend to consume fewer calories throughout the day. Include lots of fiber in your diet by eating fruits, vegetables and whole grains. Fiber-rich foods are high in volume and will satisfy hunger but are lower in calories. Holiday meals tend to be large, buffet-style and include second and third helpings. While one might not eat an entire cake, a common mistake is eating large portions of foods that are perceived as healthy. It’s important to include nutrient-rich foods in your diet, but also remember that these foods have calories as well and should be eaten in moderation. Using this approach at the holiday dinner table will allow you to maintain a healthful eating plan — one that can also include dessert. There are many strategies to help you avoid overeating. Using a smaller plate, for instance, allows you to put less food on your plate and encourages proper portion sizes. Also, start by filling your plate with vegetables and salad before going to the entrees and desserts. Eating a salad before your meal can help you eat fewer calories overall. Eat slowly and savor every bite, and before you go back for seconds wait 10 minutes to see if you really are still hungry. Finally, after dinner, get some physical activity. This is a great time to go for a walk and catch up with family members or play catch or a game of basketball with the kids. Those Yuletide beverages can have a high calorie and sugar count as well. While gin, rum, vodka, and whiskey don’t have added sugar, mixers and fruit can add sugar and calories. Wine contains both fructose and glucose (from fermented grapes) and the holiday favorite, eggnog, can pack a calorie punch with its long list of ingredients including cream, sugar, eggs, and milk. For those wondering about their beer with football, there is no sugar in beer! Like many areas of the body, your mouth is teeming with bacteria — most of them harmless. Normally the body’s natural defenses and good oral health care, such as daily brushing and flossing, can keep these bacteria under control. However, without proper oral hygiene, bacteria can reach levels that might lead to oral infections, such as tooth decay and gum disease. 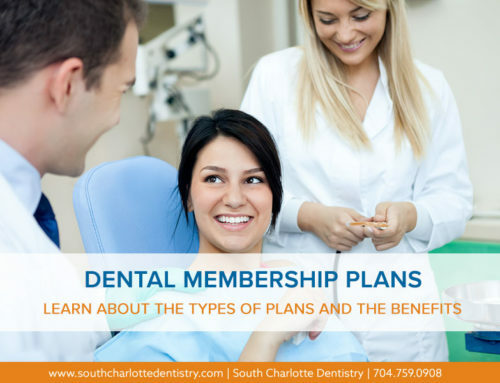 It’s important to brush at least twice a day, ideally after every meal, and floss at least once daily. Adding a Waterpik device to your routine and mouthwash provides additional protection against tooth decay. Cavities and tooth decay are among the world’s most common health problems. They’re especially common in children, teenagers and older adults. 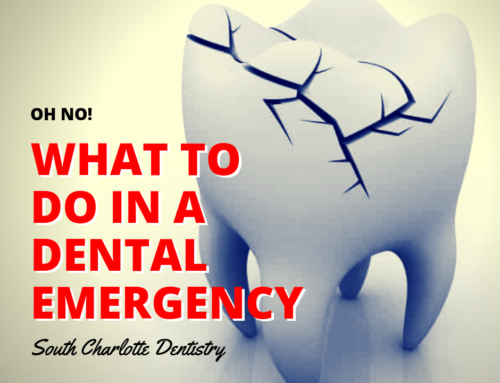 But anyone who has teeth can get cavities, including infants. Cavities, also called tooth decay or caries, are caused by a combination of factors, including bacteria in your mouth, frequent snacking, sipping sugary drinks and not cleaning your teeth well. 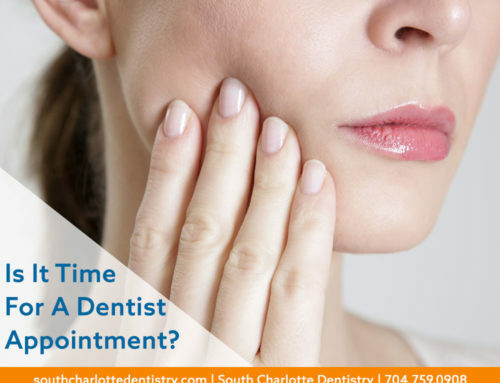 If cavities aren’t treated, they get larger and affect deeper layers of your teeth. They can lead to a severe toothache, infection and tooth loss. 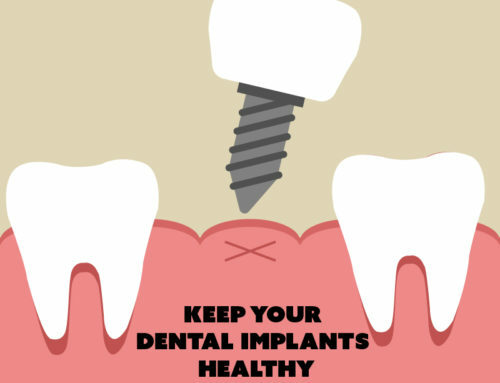 Regular dental visits and good brushing and flossing habits are your best protection against cavities and tooth decay. So, be sure to brush away that banana bread and floss away that fudge! Just as Santa Claus comes through in the end, you can save your teeth this holiday season by keeping up (and maybe stepping up) your routine! How is your holiday shopping coming along? Want to think outside the box and into the medicine cabinet? Consider some healthy alternatives as stocking stuffers. Items like toothbrushes, floss, Waterpiks, electric toothbrushes, and even gift certificates for cosmetic dental treatments all make thoughtful gifts. 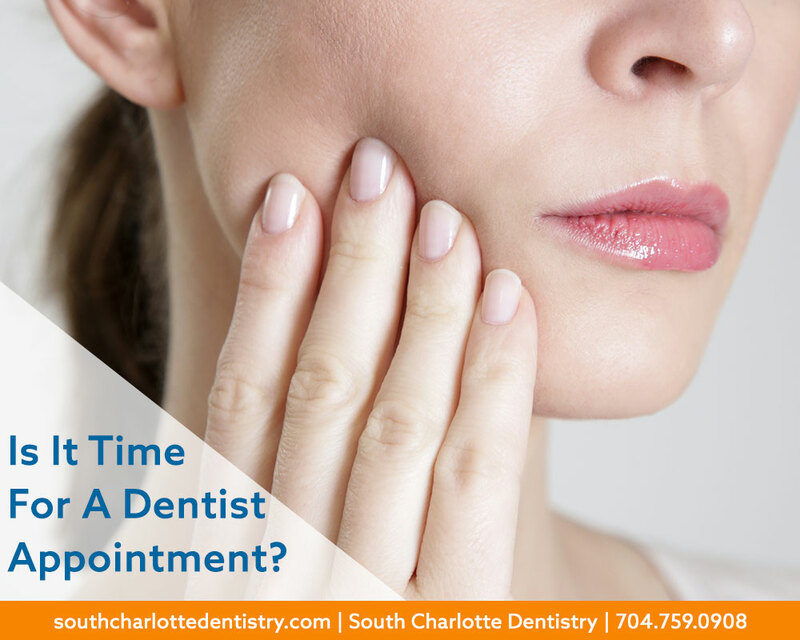 At South Charlotte Dentistry, we have a selection of oral health products and cosmetic services that would be great to give. For even more glamour, look for a gold-plated toothbrush — yes, Virginia, they do exist! And silver ones and bejeweled ones too. Or maybe a simple gold-plated toothbrush cap is more practical. Do you have an animal lover on your gift list? Take a look at whimsical toothbrush holders. Children might like their favorite superhero on a toothbrush. Both manual and electric models feature characters from “Frozen” and “Star Wars” among others. A traveler in your family might appreciate a selection of travel toothbrushes and other tiny carry-ons. There are electronic toothbrush UV sanitizers and we’ve even seen a sterling silver “baby’s first toothbrush.” If you want to plan way ahead for the new baby in the family, think about a tooth fairy pillow and keepsake book. 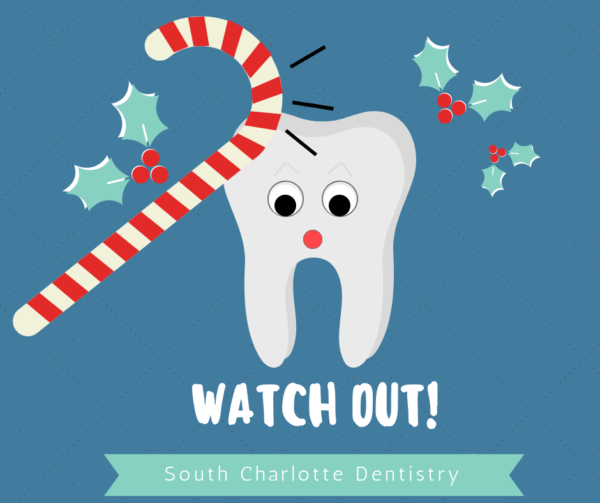 Don’t let the holidays throw off your dental routine or your spirit! Brush, shop, celebrate, repeat! When it comes to caring for yourself, we at South Charlotte Dentistry know that holiday stress can really be a drag. While we tend to focus on your oral health, we want to help ensure that you take care of your whole self. Some may find joy in the lights and sounds of the season, while others may loathe the chaos and expense, struggle with trying to be the “perfect” parent/kid/spouse/friend, and wish they could skip the social gatherings altogether. Depression and anxiety can show up in your oral health routine like neglecting basic dental hygiene, avoiding necessary dental care, dry mouth (perhaps as a result of medication), and dental decay caused by poor nutrition. Be realistic. The holidays don’t have to be perfect or just like last year. As families change and grow, traditions and rituals often change as well. Choose a few to hold on to and be open to creating new ones. For example, if your adult children can’t come to your house, find new ways to celebrate together, such as sharing pictures, emails or videos. Stick to a budget. Before you go gift and food shopping, decide how much money you can afford to spend. Then stick to your budget. Don’t try to buy happiness with an avalanche of gifts. Instead you might try donating to a charity, giving homemade gifts, or starting a family gift exchange in which people draw names for an individual or two to give gifts. Don’t abandon healthy habits. Don’t let the holidays become a free-for-all. Overindulgence only adds to your stress and guilt. Try having a health snack before parties so that you don’t go overboard on sweets. Always get plenty of sleep. And get some physical activity! Take a breather. Make some time for yourself. Spending just 15 minutes alone, without distractions, may refresh you enough to handle everything you need to do. Find something that reduces stress by clearing your mind, slowing your breathing and restoring inner calm. You might take a walk at on a crisp, cool night to look at the stars, listen to soothing music, get a massage, read a book, or take a long shower or bath.